O’HEARN – Linda M., 54, of Buckfield, Queens County, passed away peacefully at home on Saturday, November 28th, 2009 after a brief illness with cancer. Born in Windsor, she was a daughter of Pearle (Lake) Lake and the late Ted Lake. 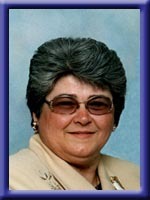 Linda resided with her husband Gordon in North River for 20 years where she owned and operated Linda’s Home Care in North River for 10 years. She was a former employee with Hillside Manor as a caregiver for 15 years. She retired to Buckfield with Gordon after 30 years of care giving. Linda was a qualified Private Investigator licensed by the Nova Scotia Police Association for 10 years in commercial and retail industry. She was a member of the Order of the Eastern Star in Nova Scotia and P.E. I. jurisdiction and served as worthy matron for Pearle Chapter #71, Caledonia as well as Grand Martha of the Grand Chapter of Nova Scotia and P.E.I. for 1 year visiting 43 chapters within the jurisdiction. Linda was an excellent cook and loved to prepare large meals for her family during the holidays. Linda was loved by all who knew her; her boisterous laugh and a smile you couldn’t forget will be greatly missed. Surviving besides her mother is her loving husband Gordon; her sisters: Shirley of Calgary and Connie (Harry) Bryson of Bible Hill. Her brothers: Danny and Jimmy, both of Calgary; Ken of Ontario and Wade of Elmsdale. I am very sorry to hear about Linda’s passing. When Mom called, I couldn’t believe it because I never knew she was ill. When I told Noah, he was very upset. He loved coming over there for a visit. My deepest sympathy to you and the rest of Linda’s loved ones. She was a fantastic person and will be greatly missed. Gordon….I am shocked and saddened by the news of Linda’s passing…you are deeply in my thoughts and prayers at this difficult time….I am so glad I visited when I did….Linda seemed to be doing so well at the time, coffee and chat and laughter (one of the few memories I will hang onto) she was a very courageous and loving woman with a heart of gold (only a few reasons she was chosen as godmother to Chad)….hold on to all those wonderful memories as will the boys and I….Please don’t hesitate to call if there is anything we can do. I was so sorry to hear about your loss. Please know that I am thinking of you. You are in my prayers. Gorden,words cannot express my sadness at Linda’s passing,please take comfort in the fact that she now is one of God’s Angels,free of her pain,she can now watch over all of us like she would always do.Remember all the good times you had with her,it will help with all the sad times,may God bless you. Gordie so sorry to hear about Linda, I didn’t know her well, she seemed like such a nice person, she had such a beautiful smile and a friendly way,my thoughts are with you and family at this sad time, foster sister Faye . Gordon I am so very sorry to hear of your loss. My thoughts and prayers are with you during these difficult days. Linda was a “jewel” and I will never forget her kindness and love to my parents, George and Muriel Freeman. May God’s blessings be upon you as you mourn your loss and I know she is present with her Lord. So sorry to hear this. My thoughts, prayers and love are with you Uncle Gordie. Aunt Linda was a great woman and will be terribly missed. Please accept our condolences , we did not know Linda but read here of her passing and want to send our heart felt blessings to you her husband and family. It sounds like Linda had a full but all too short life for someone so giving . God bless you all and may Linda be safe and at peace in a better place now. I was blessed to have known her. Keep your chin up… I know she would want you too. Love. Gordon I am so sorry to hear about Linda. I could not beleive it as she was doing so well. Our Prayers are with you and your family. There is a special place in heaven for you Linda we love and miss you. Gordon you and Linda where sole mates it seems so unreal that this could have happened, God bless you. My Aunt Linda was the best person I knew I loved her so much it breaks my heart to think we lost her so early in life. Uncle Gordy I just want you know that we are all here and how much she was loved. We now have an angel looking after us! Gordie;We were so sad to hear of Lindas passing.She was a great lady and will be missed bye many.Our prayers are with you. Gordon I am truly sorry to hear of the loss of your wife. I believe you lived at our family home many, many years ago. Basil and Jean Conrad’s in Harmony. I have fuzzy memories as I was not in school yet. Gordon, Paul and I are so sorry to hear of your loss. Our thoughts and prayers are with you and all the family. May you find comfort in the love of God at this sad time in your life. To The family , So sorry to hear of Linda’s passing. She was a wonderful person and will be missed. Dear Gordon:Just a note to say that you are in my thoughts and prayers during these days. Know Linda will be missed greatly by not only her family, but by many friend and community. Wish I could be with you all tomorrow- but although I will not be there in person, I will be there in spirit. Take care- hang tight to each other- and cherish all the wonderful memories you and Linda made. Dear Gordon; I was saddended to hear of Linda’s passing. We may not see each other or talk often, but I want you to know I have thought of you and Linda many times and have kept up to date with Mom and Dad on the latest news. Today when I heard of your great loss I was sad, but I hope you can find comfort in knowing that you are being prayed for and cared about in this a time of sorrow. Dear Gordon, So very sorry to hear about Linda passing. She will be so missed. You will be kept in our thoughts and prayer. Gordie: So sorry to hear of the loss you have suffered. My thoughts and prayers are with you.